The Faith Health Network (FHN) is a program of Baptist Health Care. Guided by our Mission of helping people throughout life’s journey, the FHN combines the many resources of the health care community with the strength of local congregations to promote the delivery of high-quality health care. FHN is meant to build a bridge between Baptist and the people within our communities by developing personal relationships with local congregations through the use of congregational volunteers (liaisons) and dedicated health care professionals (navigators). The goal is to ensure that our members enter the system at the right place, at the right time, for the right reason, and understand that they are not alone. What are the benefits to your congregation? Being diagnosed with a medical condition can be an overwhelming experience for individuals. Often, people must learn new things to properly take care of themselves, and it’s easy to forget some steps. Often, we just can’t do it all on our own. Congregations are great support systems and should continue to support their members in these times by helping identify the health-related questions and finding the answers. 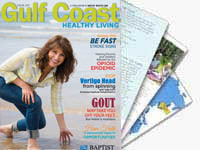 Congregations partner with Baptist Health Care and others to provide a network of health support. As a member of your congregation, and as a member of the FHN, you have access to a wealth of support on issues such as preventive medicine and follow-up care. Your congregation will appoint a liaison to help members access their benefits. This liaison works closely with an FHN navigator who is an employee of Baptist Health Care. They will work together to answer questions, build on your congregation members’ strengths, schedule educational outreach for your congregation, and provide support and follow-up care, should you need to visit the hospital. The FHN is not an insurance program. Instead, we work like a support team for your health needs, and we are your partners in your health journey. If you have specific questions about your insurance, we encourage you to call the business office at Baptist at 850.469.2000 or the customer service office for your insurance coverage. The FHN is made possible because of a generous gift from Covenant Care.